In this blog post, I’ll offer an update on CYP#3, SUPERPOWERED, and talk about an exciting new book trailer in development. But first, how about a click-bait worthy image? Okay, onto the awesome on the horizon. SUPERPOWERED is coming along! Not quite as quickly as I’d have hoped (moving from California to Colorado slowed me quite a bit), but good news for CYP fans! I’ve finished the major storyline, and I’m about 1/3 of the way through each of the other two, so let’s call it 5/9ths done. Soon you’ll get to play around with three different superpowers and be a force of good or an agent of evil in all three! I’m having a helluva lot of fun writing it, which usually means you will too as the reader. Get excited! As I approach finishing the book, I’ve been thinking about how to market it. The book trailer for INFECTED has proven a very successful means to share the first book in the series, so I figured that might be a good idea here too. What’s that you say? I don’t even have a book trailer for my second book? I thought the same thing! So first I’m making a trailer for MURDERED. After some research, I recently partnered up with the dynamic duo behind PixelTwister Studio to create a “killer” book trailer (get it?). They do amazing work with “dynamic typography” (text used in creative ways) and blend that with animation to come up with some rather compelling trailers. After having seen the new teaser for Quentin Tarantino’s The Hateful Eight, I’ve seen firsthand just how successful this technique can be. MURDERED is their first mystery/thriller trailer, so they’re equally excited about the project. Stay tuned and subscribe (there should be a little box over on the top-left, right?) for updates on the project, and very soon, the trailer itself. 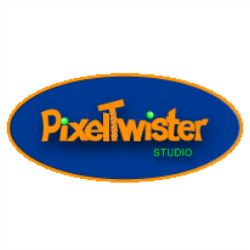 I’ve already started working with the team at PixelTwister, but I couldn’t help but give my readers an update! I’d love to hear from any who share our excitement in the comments below. Until next time…. Very good news! I’ve been anxiously awaiting this book to come out. Keep it going! Sure do remember! Say, is there any chance I could interview you for my blog? Sure, send me a message on my contact page.